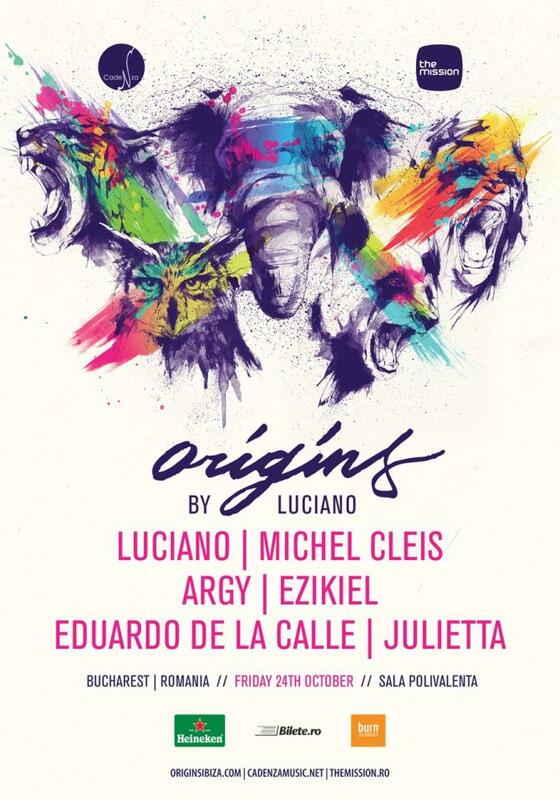 After a thrilling summer season in Ibiza, Luciano’s highly acclaimed Origins show is now touring as a major event. Kicking off the world tour on Friday 24th October 2014 with an exclusive showcase at Sala Polivalenta in Bucharest (Romania), the line up will feature the Cadenza boss himself, Michel Cleis, Argy, Ezikiel, Eduardo de la Calle and Julietta. In Collaboration with The Mission.